It is very simple when it comes to meat phosphates, you can't skimp on quality and price. While other companies repackage a cheap version of BBQ Phosphate and try to pass it off as the real deal the truth comes out in the blend. The solubility of BBQ Phosphate are crucial when they are adding in to meats, with cheaper blends can increase the risk of not dissolving in to your injection and can be unknowingly injected in to your meat thus discoloring the meat and even making it taste like soap. Our custom blend of Tripolyphosphate's are composed of a powerful anti-coagulant and emulsifier, this injection can be used in literally any protein worth grilling to hold in the natural juices and protect your food from the dreaded demon known as dryness. Perfect for those who might want to try creating their own custom spice blends at their own convenience. 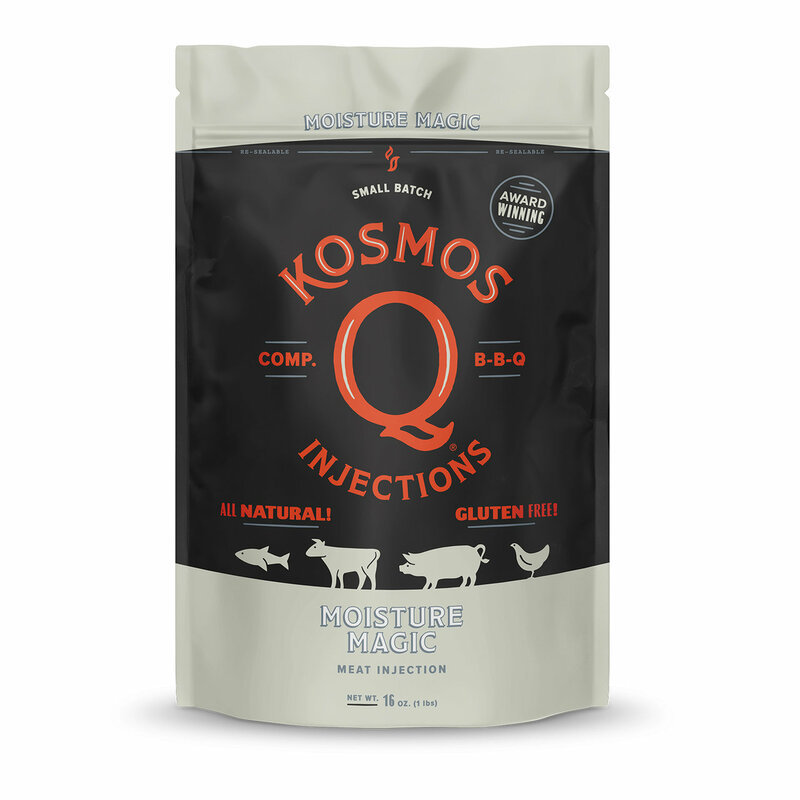 For your own flavorful invention, get Kosmo's Q Moisture Magic Injection!